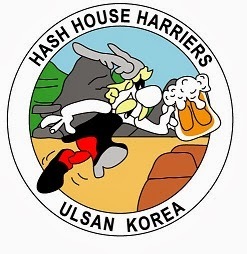 The 717th Ulsan Hash leaves from outside Seobu Foreigner’s Compound clubhouse at 11.00 AM on Sunday 11 Oct 2015. The Hash trails will be set by the Hare(s) “Harimau". Soft drinks and beer provided by the Ulsan Hash. Food will be provided by “Costco!”.